During both our 9:30 & 11:15 am Services we have classes for our Birth – Pre-K & our K-5th grade. When checking in your kids you will enter in the front of the building and turn to your right to drop off your birth through pre-k children, and turn to your left to drop off your K-5th grade children. 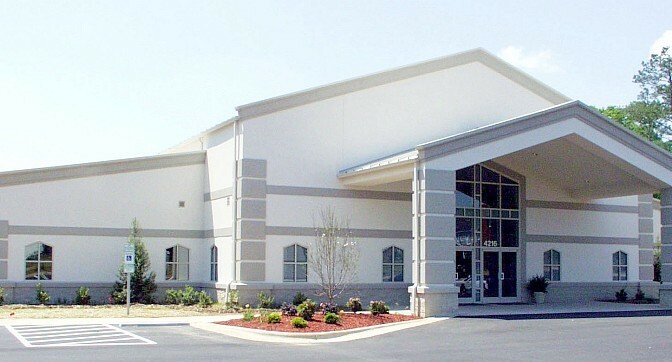 Our students meet in our Next Generation Discipleship Center located directly behind the main building as you circle our campus to the right. During our 9:30 Service we have Middle School Youth Service & at 11:15 am we have our High School Youth Service. Before you enter the Worship Center, you’ll receive a program that has upcoming events and information about our Sunday programs. Once in our Worship Center we invite you to stop by our cafe for a cup of coffee and a donut or bagel (complimentary). One of our ushers will be available in the back to help you if you need assistance in finding a seat. Anyone with a red lanyard name tag will be able to help you and answer any questions. The service usually begins with some upbeat music led by our Worship Team (drums, guitars, keyboards, vocalists). The message time (usually about 30 minutes) is designed to be Biblically based, relevant, interesting, and enjoyable. To help you navigate our campus once you arrive, view our building map.